Nice contrast between the brick and this little cutie. Aww she's so pretty, what a little fashionista. 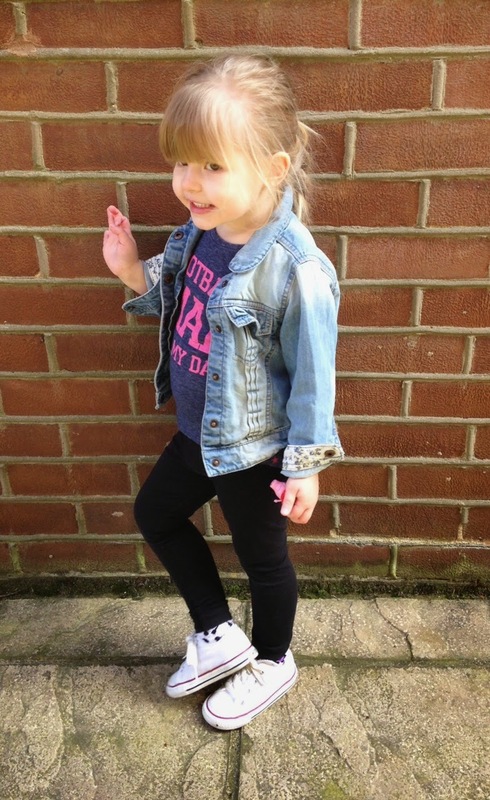 She is absolutely adorable, and that little jean jacket, I want it!